Manufactured using high quality pig split leather the Portwest Tergsus Leather Blue Gloves A250BL offer breathable protection and increased dexterity making them ideal for light industrial work. The highly durable Leather Gloves provide enduring use ensuring long lasting protection. 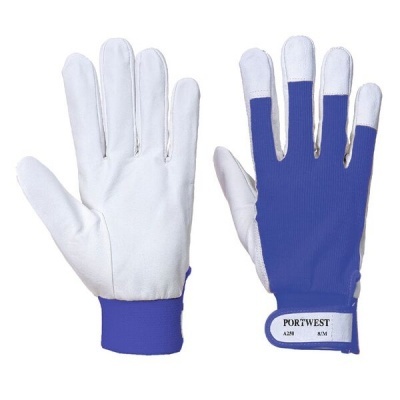 The highly versatile Portwest Tergsus Leather Blue Gloves offer an outstanding level of resistance to abrasion meaning they are suitable for a variety of activities.